Love him or hate him, John Legere has done a lot for T-Mobile since he took the reins in late 2012. The company's latest announcement, entitled Un-carrier Next, has been set for September 6th, and from the video T-Mobile uploaded onto its YouTube channel, it looks like it'll be something big. The 26-second long video features a team rushing to get something shot. 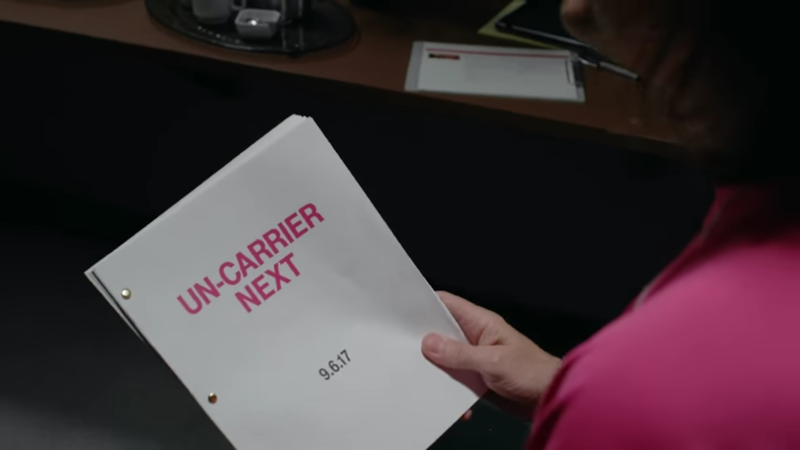 Someone knocks on and opens the door to Legere's room, where he is looking through a script entitled "UN-CARRIER NEXT." Legere then comes out, picks a jacket, answers a crew member's "Are you ready for this?" with an enthusiastic "Oh hell yeah," and walks in front of the camera. A clapperboard is clapped, and the video ends, leaving us to wonder what exactly the announcement could contain. In the YouTube video's comments, some people are making guesses, while others are openly wondering what it could be. Some guesses include a re-announcement of 600MHz and a stop to de-prioritization. It looks like we'll just have to wait until September 6th at 8am PT (11am ET), at which point the announcement will be broadcast here.